The entertainment industry in Kenya is enjoying its full local consumption. The number of local television programs, and the expansion of Kenyan technological sector has seen investors put money into showcasing the entertainment component of Kenya up-to buying slots on the global DSTV. Now people around the world can watch Kenyan content on Maisha East Africa on DSTV, while still enjoying music and local soaps on Citizen, KTN, KBC and K24. With the upsurge of demand for local content, the opportunities have been ripe for more Kenyan entertainers to embrace the opportunities. The industry was known for youthful chaps, but now kids below the age of 10, are slowly taking over. 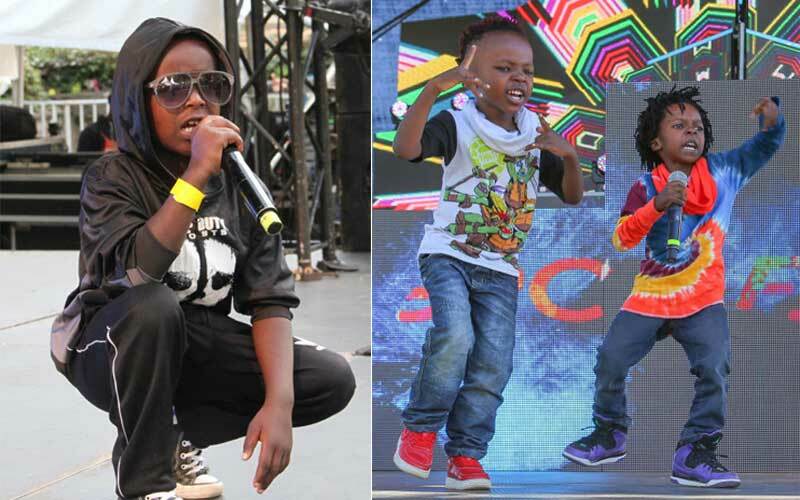 Here is the list of kid entertainers Kenya has brought forth to the continental attention. This duo are proteges and children of renown Kenyan gospel rapper, Eko Dydda. Dydda has been nurturing his sons into rapping and music in general and doing a good job at it. His two sons, Keep It Real, 6, and ‘I’m Blessed, 4, have already done couple of songs. I’m Blessed is already working on a new solo song. At the age of only ten years Chastar is already a star, burning with unbridled passion and determined to make it big in the music industry. For the few years he has been in the industry the young lad as already bagged a couple of accolades including; Young Achiever under 12 years Award 2016 by Ministry of Youth Sports Culture and Gender (Mombasa County) as well as Most Outstanding Young Star Award at the Pwani Celebrity Awards. The young promising lyricist is on the verge of releasing his debut album and this will not only see him as one of the youngest celebrated star but it will go down the history books as the first artiste under 11 years in Africa to release an album. The 13-year old secured a mouth-watering deal with the recording stable, after she did a rendition for Alicia Key’s “This Girl is On Fire,” which saw her go home smiling with the knowledge that her tuition had been catered for all the way to the university under the same stable. Her newest song Sitasahau, is already on rotation in local media stations. The 5 year old, class one pupil came into the limelight after he was featured in a popular Kenyan comedy TV show and had the guts to actually go head to head with Khaligraph Jones where Khali met his match.